Can I offer you a Personal helping hand? Since I started to make money online with eBay back in 2012, and still do to this day I have to say, it’s been on hell of a journey. I have seen many changes on eBay which have affected other people who are trying to start up on eBay to the point they give up. I’ve realized 95% of the reason why people give up is because they come across a hurdle or a stumbling block and give up. Let me ask you a personal question. How much time and money have you spent trying to make money with eBay or Amazon? Now, I’m guessing if you are anything like me you would have spent thousands of dollars looking for some success. Let me tell you many times you probably bought the right product that looked like success to come across a brick wall and give up. Let me be brutally honest with you, it wasn’t your fault, and I will tell you why. Not having someone to turn to for help can be difficult. Especially when things are not working and you have followed everything to the letter. Today, I want to completely eliminate that for you. After spending the past year or so I have come to the point where I have automated my business to the point I only work 1 – 2 hours per day. After my success I have decided to dedicate my efforts to helping people like you to duplicate my success and succeed. This is why I am offering my Personal Coaching. As you will get my personal access to me 24 hours a day. You can contact me via my personal email or via skype if you need to, this means I am here to personally help you when you need it. You can ask advice any time you want and you will get my personal response. Not my support desk or my staff but me. I will be here to hold your hand and help you every step of the way. Whatever you need help on some technical issues or otherwise I will help you. As with anything experience is what gets you to your goals the quickest. Since I have been making money with eBay and Amazon for a number of years, I have helped a number of people start and grow their business. I am regularly consulted and asked for advice on a whole range of topics about selling and even buying on eBay and Amazon. 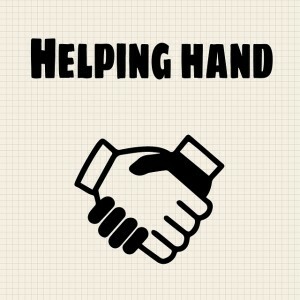 I always strive to help as many people as I possibly can. But I have a serious question for you. . .
. . . Do you Qualify for this help? Yes!! I know it sounds crazy but I only want to sell this product and help people who are serious. So, if you’re someone you would rather watch TV or watch cat videos on YouTube then this isn’t for you. But if you’re really serious about taking your income to the next level, then I will love to have you on board. Remember this is my Personal help. . . I can’t stress how important it is. You’re not investing in any normal product. I will personally guide you whenever you encounter any problems. If you need technical assistance it will be taken care of, or if you just need some guidance I will be personally here for you to steer you in the right direction. Working with me on a personal level does come at a price, however, if you were expecting this to be the same cost as my eBook or Video Course, I’m afraid you will be disappointed. But if you were expecting this to cost hundreds or even thousands of dollars then you will be delighted, because during this launch period and because I truly want to help you kick start your business, you will my personal helping hand for only $97. If you believe you can benefit from my personal help then . . . If at any time during the next 14 days you are not completely satisfied then, let me know via my support desk, and I will refund your purchase in full. P.S. My Personal help will defiantly kick start your eBay business, and get you on step closer to your financial dreams!!! P.P.S. The pricing on my Personal Help is limited during this launch, and it might not be offered again! So, if you want to kick start your business and get started right away you will need to act quickly before this offer goes!